I tried to consolidate this list as much as possible but there is so much to do in San Francisco that it was hard to narrow it down! I did my best but I am sure I left off a few things so feel free to add anything I missed! Yes, I am going to say it. 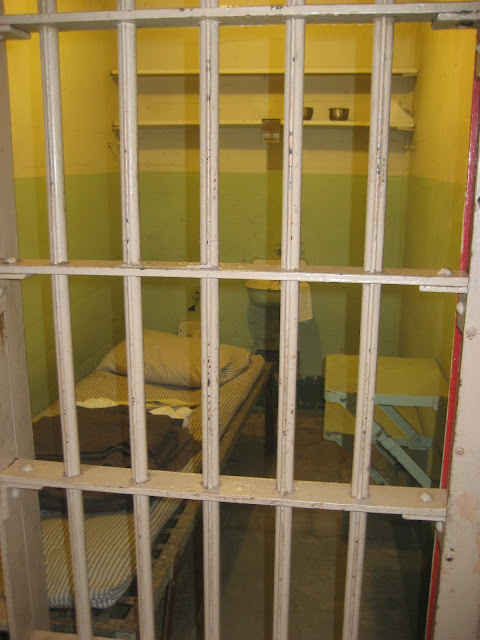 You need to visit Alcatraz. This was one of the only things my husband requested that we do so I couldn't say no. I found the tour very interesting and not a waste of time. Try to make your reservations for the early AM so that you can enjoy the rest of the day. After our tour at Alcatraz, we enjoyed a leisurely stroll along Fisherman's Wharf where we ate and drank way too much! Remember to check out Buena Vista for their Irish Coffee! After walking through Fisherman's Wharf, we took a cab to Burma Superstar for lunch. After lunch, we took a wonderful walk to the Exploratorium. We didn't actually go into the Exploratorium but we took enough pictures outside of it to last a lifetime. I loved how all of the pictures turned out so I think this place is worth checking out for this alone! After taking lots of pictures at the Exploratorium, we walked over to the Marina district. Chestnut Street is filled with lots of cute boutiques and restaurants! I found this area very charming so I would not miss going here either! You also have to make your way to Haight/Ashbury Street to see where all the hippies used to live! This area reminds me of "the drag" in Austin with all of the vintage stores and tattoo parlors. You will also find the Painted Ladies here. 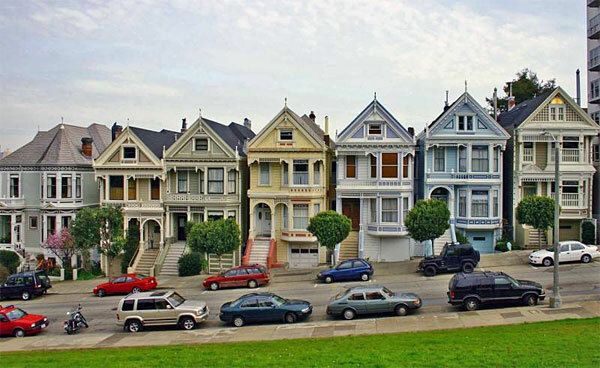 The Painted Ladies are the colorful Victorian houses that were the backdrop for the show, Full House. Another great but exhausting walk that we took, started at Ferry Plaza. We walked from there to Coit Tower, North Beach and Chinatown and ended in Union Square! It is a rather intense walk and unfortunately I do not remember where I found this walking tour so I can't give this person the credit they deserve. Also, please get a map in addition to following my directions because if I remember correctly we did get turned around a time or two as they are confusing. I still wanted to share it with you though! From the Ferry Plaza, follow the Embarcadero north, with the water on your right side. Continue along the Embarcadero from Green Street for two blocks, passing a parking lot on your left. After passing the parking lot on your left, you'll reach one of two entrances to Levi Plaza Park. Go through Levi Plaza, with the offices on your left and the fountain on your right. At the end of the walkway, you will be facing Sansome Street. 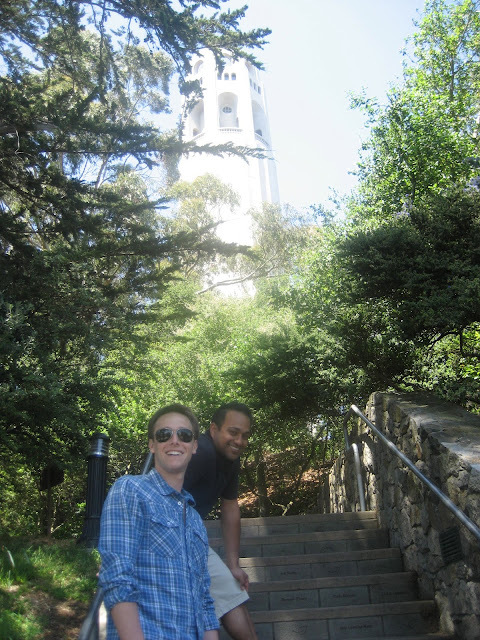 After crossing Sansome Street, you will reach the foot of the Filbert Stairway to Coit Tower. Walk up the stairs to Coit Tower. This will be one of the best views of your entire trip! Exit Pioneer Park at the front entrance and walk down Lombard Street! Get a map and make your way to the North Beach and Chinatown areas. Once in Chinatown, you have to go to Golden Gate Fortune Cooking Factory. It is located on 56 Ross Alley between Jackson Street and Pacific Avenue. There is definitely a language barrier when you go to this tiny factory but the workers are so sweet and will let you try a fortune cookie hot off the press for less than a $1. Be careful because this place is easy to miss in this congested alley! If you keep walking through Chinatown, you will eventually find yourself in Union Square where you can shop till you drop! This is where you can get some retail therapy. I recommend finishing your walk off with dinner at Gitane and calling it a day!! No trip to San Francisco would be complete without seeing the show, Beach Blanket Babylon! I was not looking forward to going to this show because I was so tired but I ended up loving it. Some people may say it is just for tourists, but I am here to say anyone would enjoy this show. It is upbeat and hilarious and you have to go! You also have to go to a San Francisco Giants game. This is one of the hardest tickets in town to score but it is worth going to! We found our tickets on Stub Hub and paid a little more than face value but I am so glad we did! 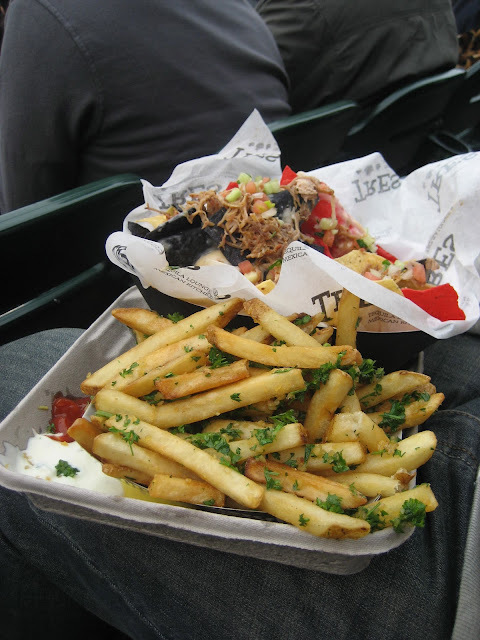 The food at the stadium is to die for. Make sure you get the garlic fries and nachos. I have never had such good stadium food in my life!